Now you can take Planters Unlimited’s made-to-order, commercial-grade quality planters with you wherever you go. 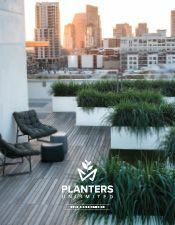 Whether you’re plotting out a new project or discussing new design possibilities with a client, this sourcebook provides helpful information about our planter solutions. To view or download the Planters Unlimited sourcebook, just fill out this simple form!